Willie E. Brooks, the son of the Late Aletha and Spencer Brooks, was born March 29, 1959 in the City of Hayti, Missouri. Since childhood, he has sought God with a passion for more knowledge from His Word. He was called into ministry at the age of twelve and led by God to discover God’s purpose for his life. Through the transition in his teenage years, Willie continued to develop a deeper relationship with Christ; although he did not accept the ecclesiastical call to ministry until his early twenties. At the age of Twenty one, Willie was confirmed as a minister before the congregation of his Church –The Lively Stone Church of God of the Apostolic Faith in Mount Vernon Illinois; where Elder Paul H. Evans was Pastor. Dedication and passion motivated Willie to learn how to effectively and rightly divide the Word of Truth. During his ministerial tenure at The Lively Stone Church, he continued his quest for knowledge from the Word of God. He served in every capacity in his Church with the spirit of excellence. In 1986, by divine orchestration, Willie was instructed to relocate to the City of San Diego, CA. where he served under the honorable Bishop F. E. Nelson of the United Fellow Tabernacle of the Apostolic Faith. On May 21, 1987, Willie was consecrated to the position of Ordained Elder by his Pastor; Bishop F. E. Nelson. He served diligently in this capacity as in times past. On October 28, 1989, Elder Brooks was wed to his lovely bride; Karen Y. Brooks. Two wonderful children have come from this union; Alexandria Jae and Andrew Spencer. He also has four grandchildren from his adult daughters -DeNeya Joi Brooks and Saundreah Dunum previous to his marriage. Because of his pursuit of excellence in ministry and servanthood; God continued to elevate Elder Brooks. In January 1991, he was elevated to the position of District Elder in The Bible Way Churches World Wide Inc; where the late honorable Apostle Smallwood E. Williams was Presider. 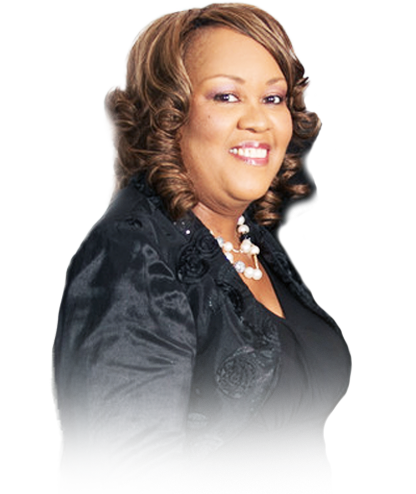 In the same year, Elder Brooks was consecrated as the Co-Pastor of United Fellowship Tabernacle in the month of May. His ministry took another turn as Elder Brooks became the Pastor of The United Fellowship Tabernacle in San Diego, CA. in 1992. He served in this capacity with his wife Karen faithfully by his side. Pastor Brooks served as Secretary of District 21 in the Pentecostal Assemblies of The World under the leadership of the late Bishop Charles Taylor-who was the Pastor of Greater Apostolic Faith Temple. His tenure in this apostolic organization as pastor and secretary was 3 years. In the spring of 1995, Elder Brooks, was led of the Lord to move in another direction, as he united with the Apostolic Organization- The World Assemblies of Restoration (W.A.R. ), where the honorable Apostle James D. Nelson is the Presiding Prelate. He served faithfully as a newly elevated District Elder under his Diocesan Bishop, the honorable Bishop Nelson Jones. District Elder Brooks served in this capacity for 2 years and was elevated to the office of Overseer in 1997 in The World Assemblies of Restoration. Overseer Brooks served in this capacity for two years and was elevated to Bishop Elect in 1999; and he served in this capacity for two years and was consecrated to the office of the Bishopric by the presiding Prelate and his peers in the spring Convention of the year of our Lord, 2001 in Baltimore, Md. Bishop Brooks has continued to serve God’s people and he has exemplified a spirit of diligence throughout his ecclesiastical call to servanthood. In the month of August 2006, Bishop Brooks received his Doctorate of Divinity Degree from the Saint Thomas College of Miami Florida. Currently he is an author of the book entitled; When Mercy Meets Misery which was released in the fall of 2005. He has completed another book pending release entitled “From Trial to Triumph.” Currently, He is the Senior Pastor of The City of Faith Family Worship Center located in the beautiful City of La Mesa, CA. By trade, Bishop Brooks is a printer. He is known for his meticulous approach to printing and design. He has over 15 years experience in this field. His hobbies include (but are not limited too) Jogging, hiking, fishing, deep sea fishing, and bowling. 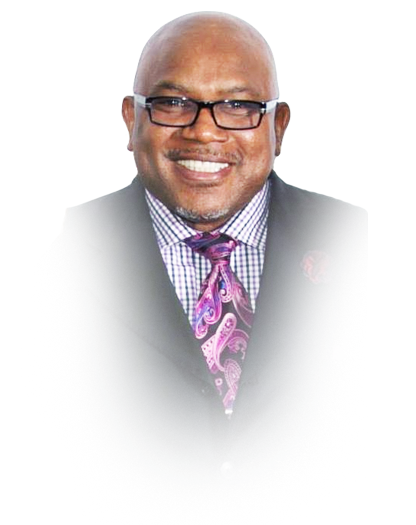 Although he has been known by many as a singer, his passion is preaching the gospel of Jesus Christ. Karen was born in Saint Louis Missouri and raised there through her elementary and middle school years by her mom and dad Bishop Floyd and Dr. Yvonne Nelson. She is a fifth generation apostolic. Karen received the gift of the Holy Spirit in 1975. In 1976, her family relocated to San Diego, California where Karen completed her High School education. She continued her education at San Diego State University. and held several managerial capacities with the City of San Diego — Water Utilities, Developmental Services, Mayor’s Office and San Diego Police Department. She is currently employed with San Diego Gas & Electric. Karen met Bishop Brooks in 1977; however, it wasn’t until 12 years later that they were married. God has blessed them with two beautiful children. Alexandria Jae – currently attending Azusa Pacific University in Azusa, CA and Andrew Spencer, a sophomore at San Diego High School International School of Studies. When God saw fit to transition Bishop Brooks on his ecclesiastical journey; and to the office of Bishop, he was greatly supported by his wife. Sister Karen has been actively involved in ministry for mostly all of her life. She has participated in every ministry that she could. Karen enjoys celebrating women – teaching and encouraging, uplifting and exhorting the Body of Christ. She believes that transparency with God’s people an area that must be used to assist each other-being real women with one another and sharing our experiences (not just the good ones). In her spare time she enjoys – Travel, cruises, reading, learning, singing, music, meeting new people and a few adventurous things. Phil 3:14 [NIV]I press on toward the goal to win the prize for which God has called me heavenward in Christ Jesus.